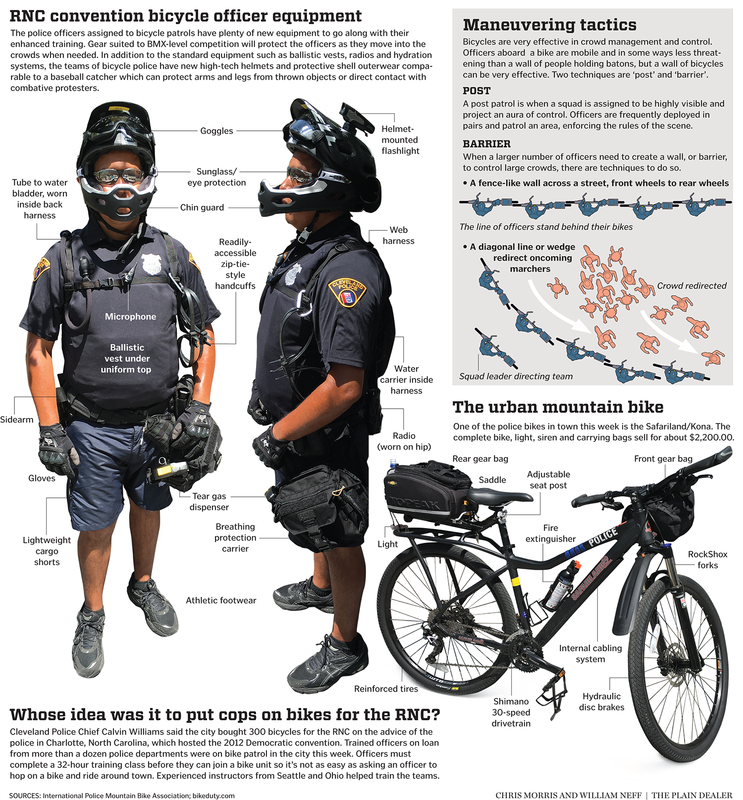 During the Republican National Convention in Cleveland, Summer 2016, bike cops were visible, friendly and effective. A look at the gear and tactics. Cleveland Plain Dealer.